I understand that divorce is a difficult crossroad in your life, that is why I will protect your legal interests with uncompromising dignity. The decision to separate from your partner is a stressful, life-changing event. What sets Divorce Attorney Cape Town apart is that we understand that the divorce process is about more than the paperwork. It is about people. We will help negotiate a divorce that is fair, right for your family and secures your future – always remaining sensitive. At Divorce Attorney Cape Town we will protect your interests and ensure that there is a fair division of property and assets. The relationship with your spouse is complex, and requires a divorce attorney who is both discreet and professional. Through mediation and family law, we will help you safely negotiate the split and secure visitation rights that are in the best interests of the child. For healthy closure, your needs and the lifestyle of your children must be protected by putting a reasonable maintenance in place. Divorce Attorney Simon Dippenaar, has a BBusSc LLB degree & professional diploma in legal practice from the University of Cape Town, and is an admitted divorce attorney of the High Court of South Africa. Simon’s dedication, diplomacy and compassionate approach extend from Family Law to each of his fields of expertise and have earned him a reputation for cracking cases where his competitors have failed. Contact us at Divorce Attorney Cape Town for legal advice on divorce, marriage disputes, prenuptial agreement, child custody & more. We’ll arrange to follow-up at a time that suits you best. Rise of the Pet-nup: I’m taking the dog! Grey Divorce: Is This The New Trend? 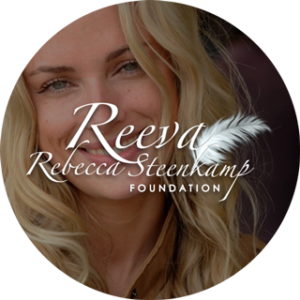 “On behalf of all abused woman and children The Reeva Rebecca Steenkamp Foundation would like to thank Simon Dippenaar from SD Law South Africa for going beyond and assisting our client with a very difficult case.